Internal Affairs minister Gen. Jeje Odong told MPs killings were linked to occult world. Net picture. Preliminary investigations by the police indicate that the spate of recent murders in Katabi town council and Nansana are linked to an occult group known as ‘Illuminati’ government said today. 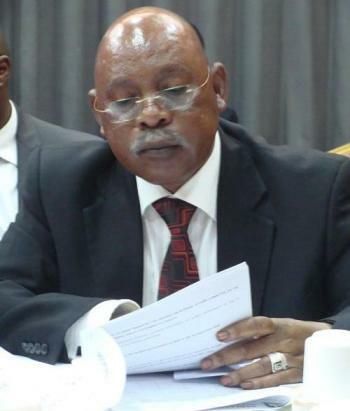 While presenting a statement to Parliament in regard to the murder of 21 women and girls in the two areas found in Wakiso district Minister of Internal Affairs, Gen. Jeje Odong revealed that in the case of Katabi town council, the murders were connected to a serial killer, Ivan Katongole alias Jenus, a businessman. Gen. Odong said credible witnesses indicated that Katongole is the mastermind behind the killings, contracting people and also participating. “Some suspects were found with forms given to them by Katongole to enlist in illuminati. Others have 999 (sign of illuminati) tattooed on their bodies,” Odong revealed in his statement to Parliament. The minister further said that Katongole was linked to the death of Rose Nakimuli because he was in her company the night she was killed. In the case of Nansana municipality murders, Gen. Odong revealed that eight out of the nine women were murdered by one criminal gang, with the motive being for ritual purposes. According to the statement, the prime suspect, Ibrahim Kaweesa confessed that he had been contracted by Phillips Tumuhimbise, a businessman, to kill 12 women. Kaweesa reportedly said this was to enable him draw human blood for ritual purposes to enhance and protect his wealth. The report further stated that 44 suspects linked to the murders have been arrested, with 22 having been charged in courts of law. “Whereas we must effectively deal with and deter this dangerous criminality, we must at the same time deal with factors that not only feed and fuel criminality but also create the environment in which criminality incubates and thrives,” Gen. Odong said. Legislators were shocked to learn that the pattern of deaths indicated that the women were first strangled, while for others, especially those in Katabi, sticks were inserted in their private parts. A number of MPs faulted the police for what they said was its weak response to the murders. “How come that from day one to now, they are murdered in the same manner and all this time the ministry and police has not been able to tell us what it is behind? Saying it is ritual murders is being simplistic. Are you in charge of the internal affairs if this country?” Monica Amoding (Kumi Woman) asked the minister. She was supported by other MPs including Mubende municipality MP, Anthony Ssemuli who reminded the minister that the gruesome murder of former AIGP Andrew Felix Kaweesi was still unresolved, in spite of arrests of different people now in custody. The MPs demanded that a full and conclusive report is tabled before Parliament, detailing the investigations and arrests made so far.